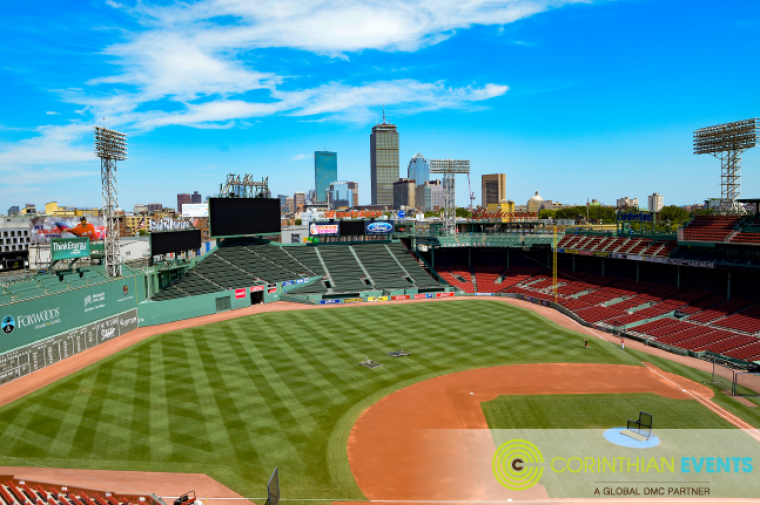 Whether you are visiting Boston for the first time or you are already a chowdah-sippin' lobstah-lovin' Bostonian, a trip to Fenway for a tour is a must on your to-do list. Fenway Park, known as the 'most beloved park,' opened its doors in April of 1912. Fans at this first game witnessed the Red Sox beat the (then) New York Highlanders 7-6. 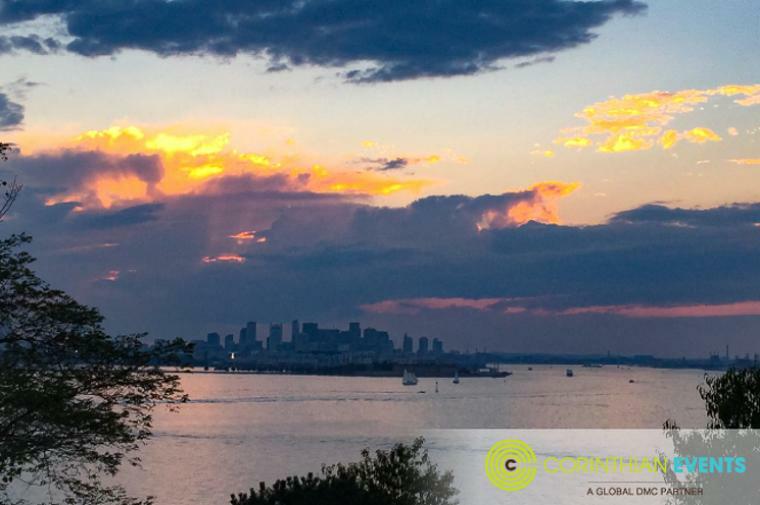 Over the 104 years the park has stood to hold millions of visitors and a lot of wear and tear – but, even with the renovations and fixes over years, the character remains intact. 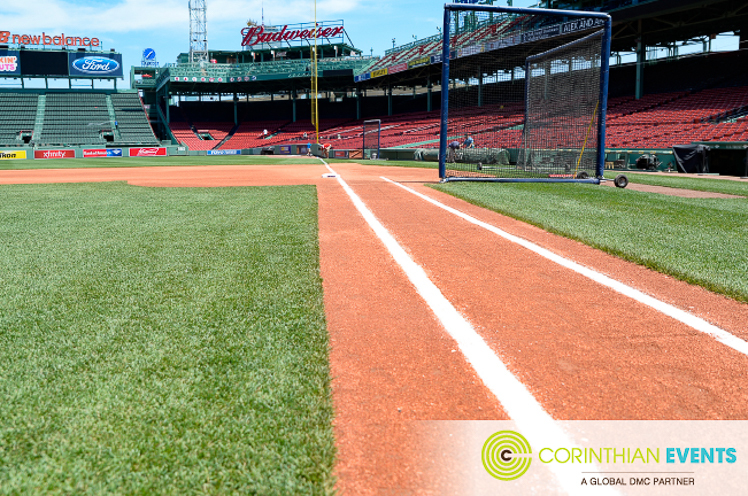 Visiting Fenway Park is an awesome experience for baseball fanatics, history buffs and common folk alike. 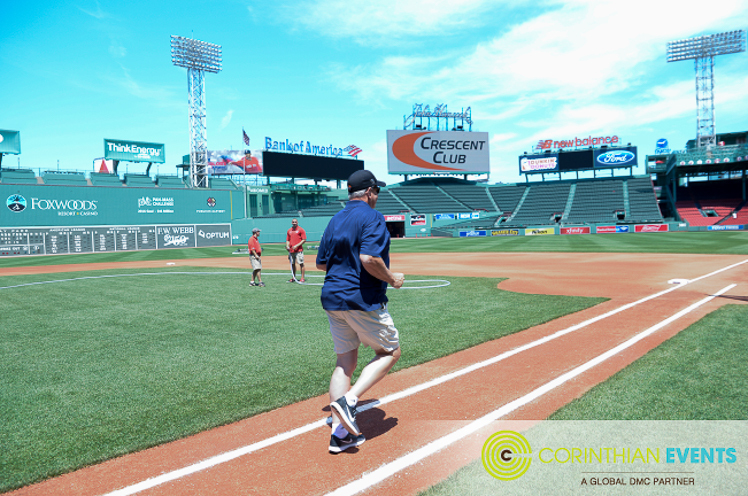 At Corinthian Events we strive to bring every event to another level (seriously, ask around), so our trip to Fenway was definitely not your traditional tour. When the Red Sox win the World Series, they travel as champions by duck boat through the city of Boston. 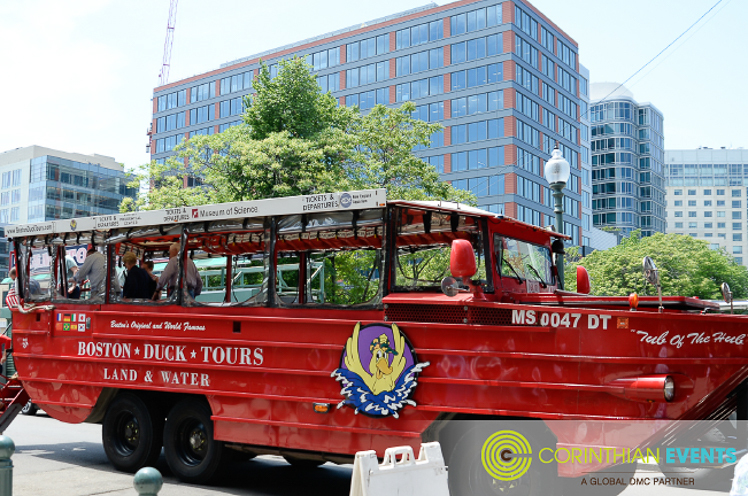 To give our guests 'the Champion Experience' duck boats picked them up at the Four Seasons to ferry them to Fenway. 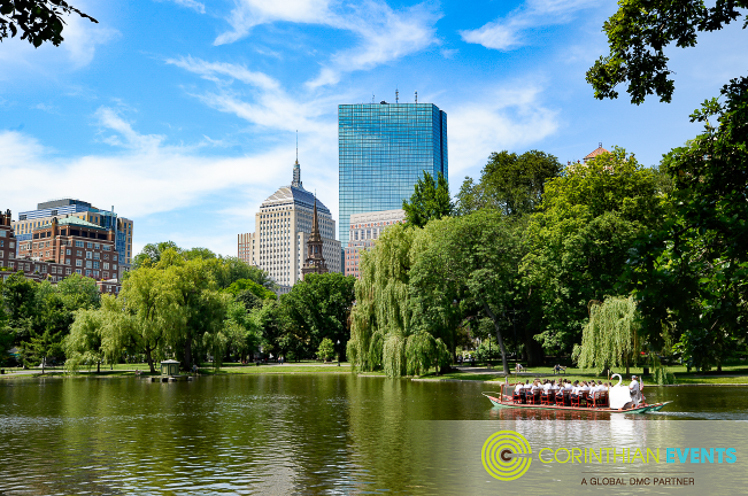 Quacking commenced while the Ducks stuck to land, offering a peak at Boston Garden, Boston Common, Trinity Church, Cheers, and the John Hancock building on the way to Fenway Park. 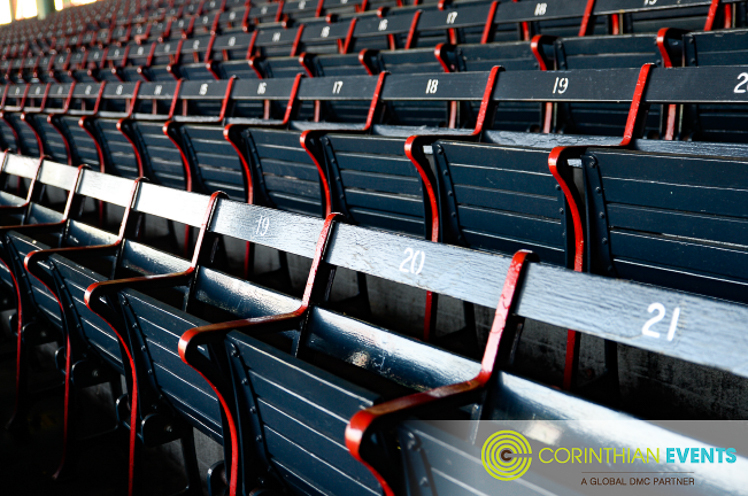 While not original – the chairs in the grandstand section at Fenway hold a special piece of history. They are the only wooden seats still remaining in all of baseball! 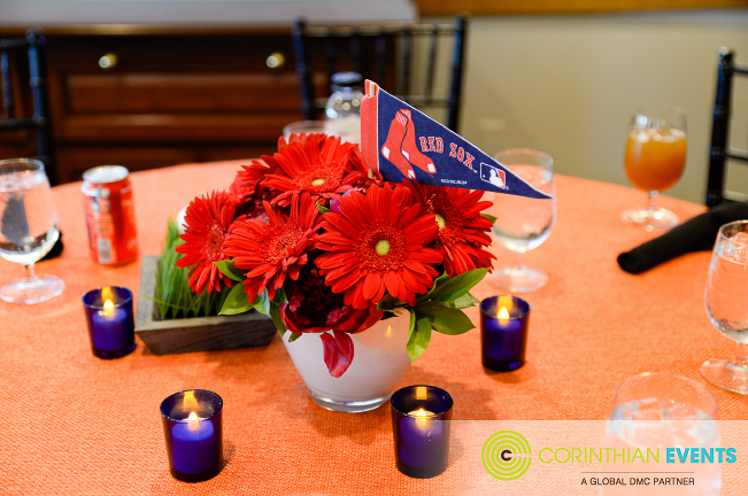 Through a partnership with Green City Growers, Fenway Farms was created to provide fresh and organically grown fruits and vegetables to Red Sox fans dining at the EMC Club Restaurant at Fenway. 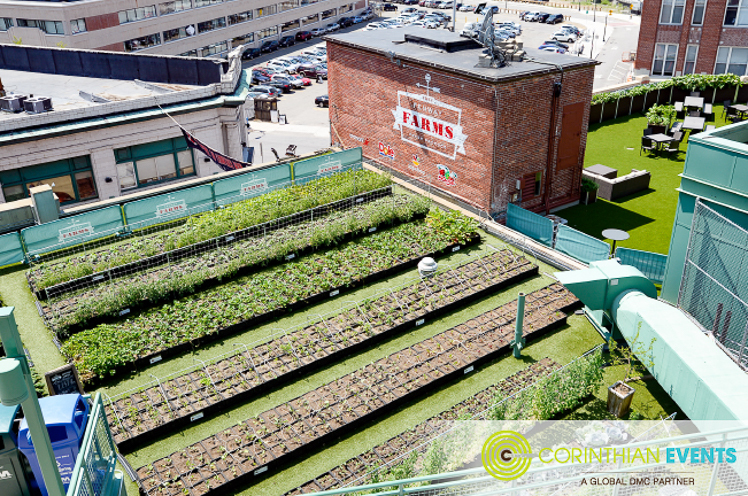 These farms help to make Fenway one of the greenest ballparks in America! A Fenway tour rarely allows access to the field. 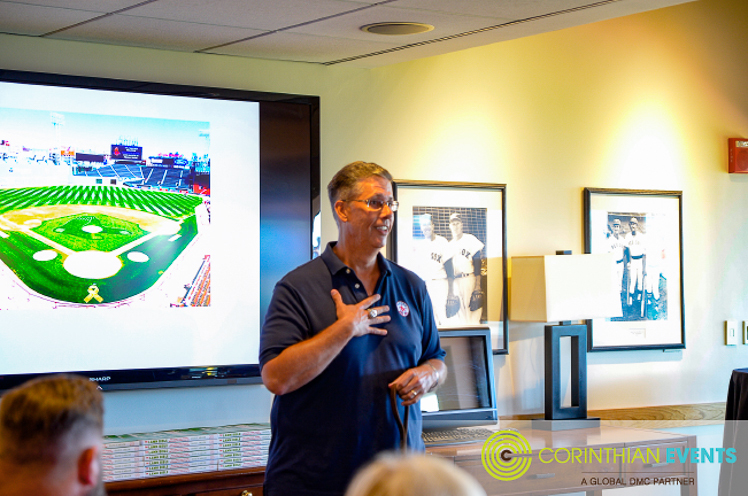 But when your hanging with Dave Mellor and he invites you down – access granted! Dave brought the group onto the grass (step lightly!) for playful pictures. 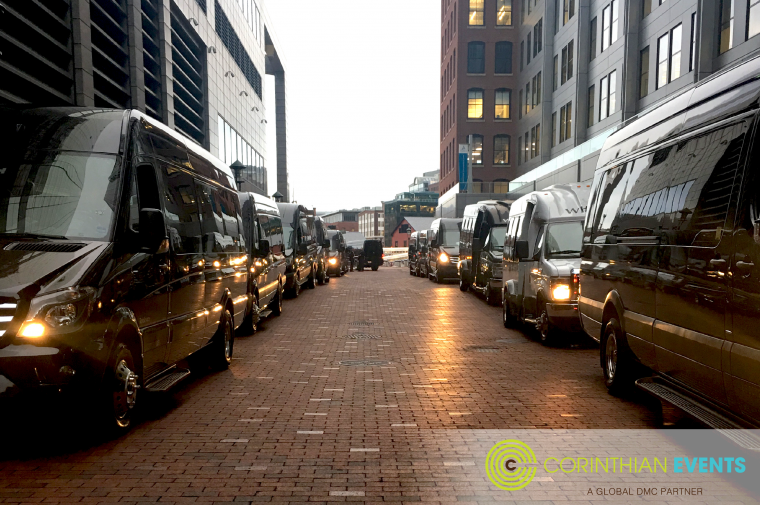 Ground level – we've made it! 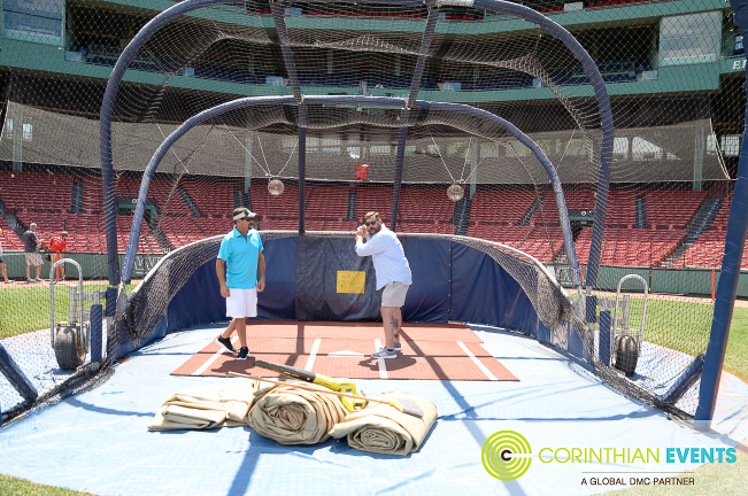 Practicing 'air' baseball swings (without a bat) – can't go wrong posing on the field at Fenway Park! 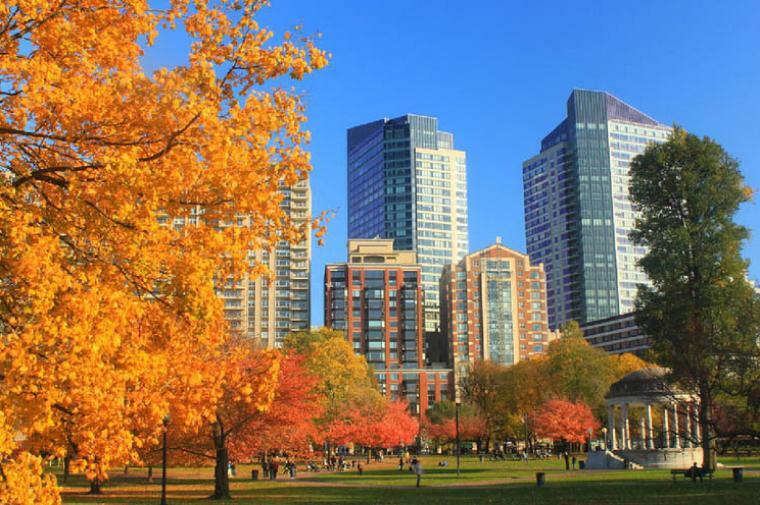 We love sharing our city of Boston with guests and locals all the same. Our favorite part? 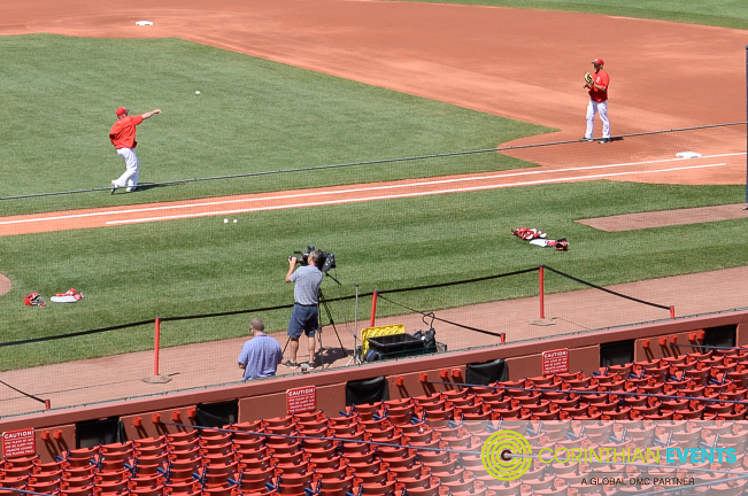 The sights, the sounds – the crack of the bat, but the best has to be seeing the guys in action!